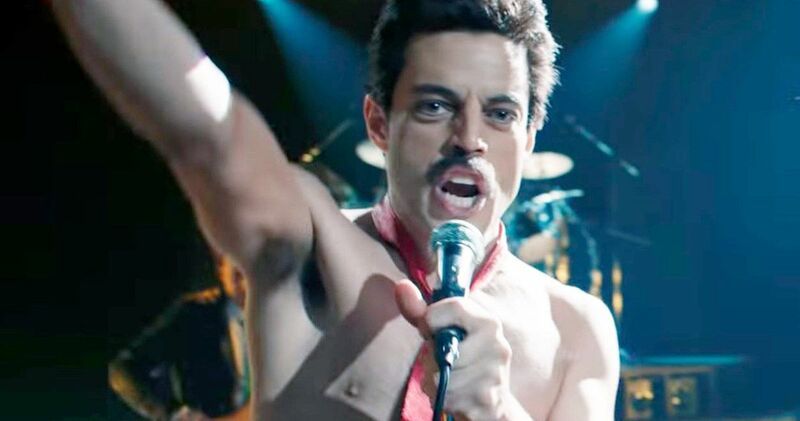 Bohemian Rhapsody, the highest-grossing musical biopic of all time, has amassed a worldwide box office total of over $734.4 million to date. In addition to its Golden Globe wins, the film has received SAG nominations for Outstanding Male Actor (Rami Malek) and Outstanding Cast; PGA nomination for Outstanding Producer (Graham King); and Broadcast Film Critics Association nominations for Best Actor (Malek), Best Costume Design and Best Hairstyling and Makeup. Bohemian Rhapsody is a celebration of rock band Queen and its incendiary lead singer Freddie Mercury (played by Rami Malek, in a tour-de-force performance). With an original screenplay by Anthony McCarten (The Darkest Hour, The Theory of Everything), and story by McCarten and Peter Morgan (The Queen, The Crown), the film traces the rise of the group and its frontman, who so brazenly defied stereotypes and shattered convention. Though Queen reached staggering global success through their iconic songs (including We Are The Champions, Somebody to Love, Don’t Stop Me Now and We Will Rock You) and their revolutionary sound and style, it was not without its obstacles. Mercury – amidst personal struggles – famously chose to abandon the group in pursuit of a solo career. His eventual reunion with the band at Live Aid 1985 went on to be considered one of the greatest performances in the history of rock music, though this time in Mercury’s life also was marked by his tragic battle with AIDS.